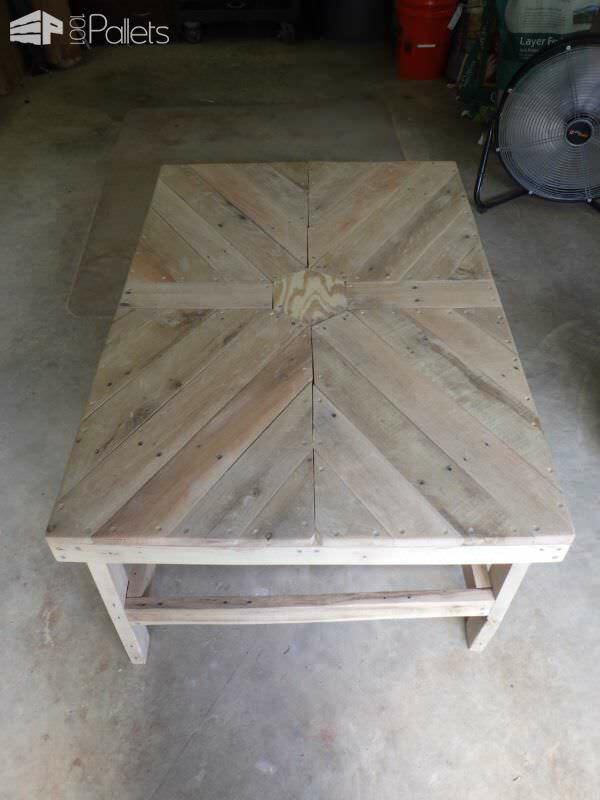 I wanted to make a unique piece from pallets, and I think I accomplished it. 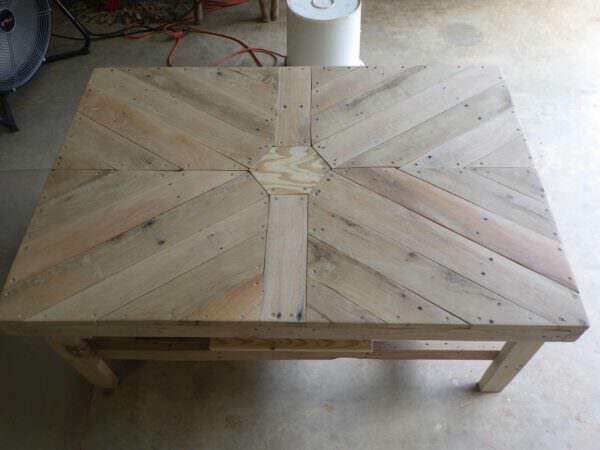 Here's my Hexagonal Coffee Table. 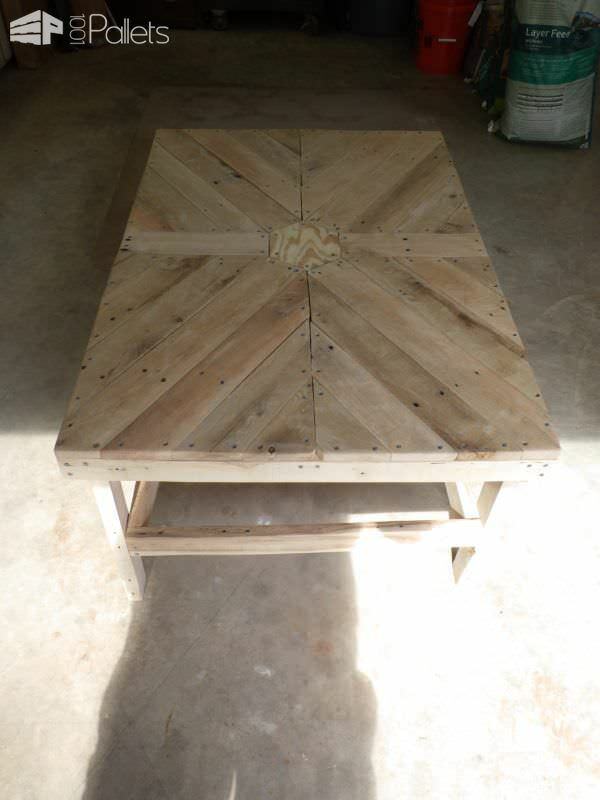 It used two pallets and only cost about 15 dollars! First, I dismantled a few pallets to find the right tones and thicknesses of wood, in the sizes I needed. I ended up using deck boards equaling about two pallets total. It was definitely a challenge to cut all the angles and get it all lined up, but it was fun! I cut the pieces for the sub-frame, out of the pallet stringers. 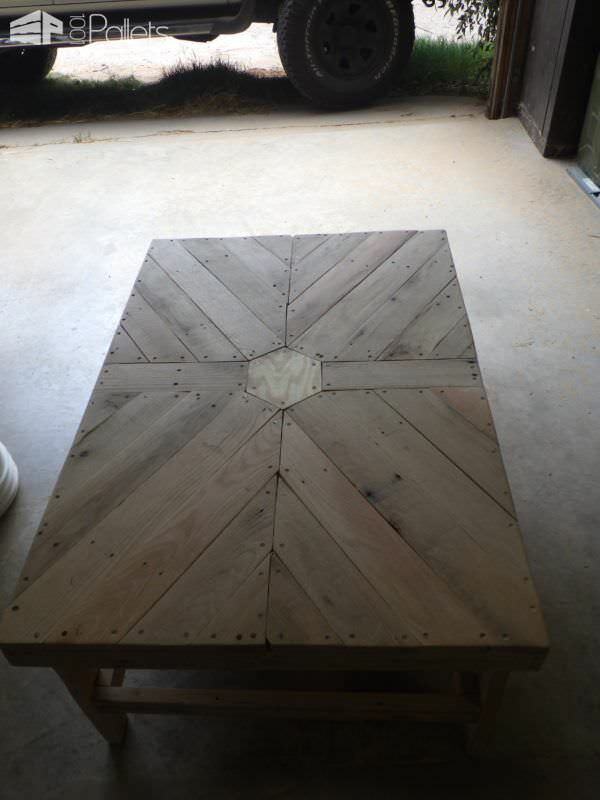 I made a box and then put a cross in the center so the table-top boards would have somewhere to mount. I installed the legs to the inside of the sub-frame box, and created a second box and mounted it low to create a shelf and also to provide added strength and support. I built a smaller shelf underneath in the center of the table. After finishing the structural build, it was time to conquer the fun part - the top! I cut a center hexagonal shape to build off of; cutting the size so that each side was the width of a standard deck board. I centered and mounted it, and then began by mounting the six mainboards that make the "starburst"-pattern in the center. Then started filling in the remaining sections, carefully cutting the angles and sanding them to fit snugly. I mounted everything with screws and sanded it smooth, but left some of the interesting pallet defects and character intact. I plan to stain and seal it to protect the beautiful wood for years to come. 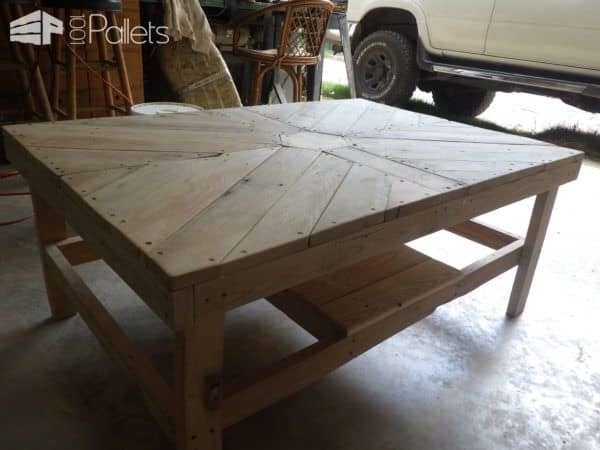 Hope you enjoy it :) I know it was fun making this Hexagonal Coffee Table. Something about not throwing things away and finding the use for them really makes me happy! The table looks freakin’ awesome! Very creative!! !